Maddie Meyer/Getty ImagesTom Brady has worn the same helmet for his 18 years in the NFL, but will be forced to change his headgear next season due to new league standards in safety. Tom Brady was spotted sporting a new helmet during Patriots practice on Sunday. The change comes as Brady’s usual helmet is set to be banned from the league after the 2018 season after tests conducted by the NFL. Brady has played with the same helmet for most of his career, and won’t have to make the switch until 2019. While the New England Patriots prepare for the 2018 season in training camp, a new helmet worn by Tom Brady in practice indicates that he’s already getting ready for 2019 and beyond. Brady was spotted at Patriots practice testing out some new headgear on Sunday, which the Twitter account Helmet Stalker identified as a Riddell Precision Fit SpeedFlex with and SF-2BD-SW facemask and a Riddell softcup chinstrap. For anyone who has watched Brady play over the years, it’s quite a new look for the Patriots quarterback, who has with few exceptions spent the entirety of his career wearing a Riddell VSR-4 helmet. Brady’s practice with the new helmet appears to be a forward-thinking move. Back in April, the league and the NFLPA announced an upcoming ban on 10 helmets that performed poorly in testing, including Brady’s preferred headgear. While he will be allowed to stick with his Riddell VSR-4 for the 2018 season, he will be forced to make a switch in 2019, and apparently is already preparing for the eventual change. 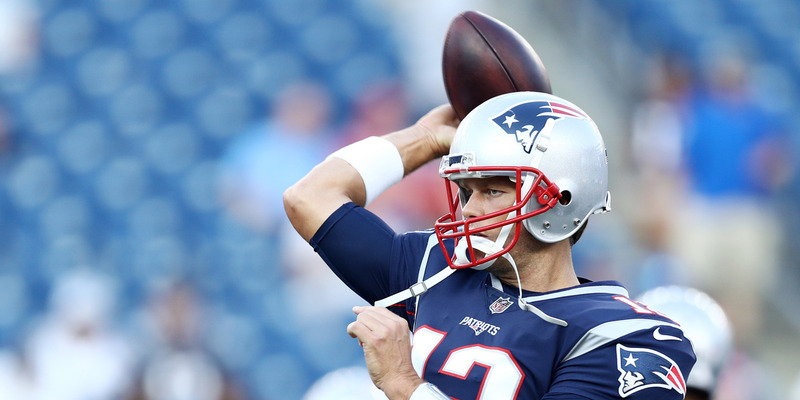 The switch is likely a good move for Brady if he really hopes to play until he’s 45 – the Riddell Precision Fit SpeedFlex was one of the top performing helmets in the NFL’s study. While Brady has never missed a game due to a concussion, his wife Gisele Bündchen has said that he has suffered them before. Beyond what the injury reports say, any regular NFL viewer has seen Brady shaken up after a big hit only to re-enter the game on the next drive or even the next play. 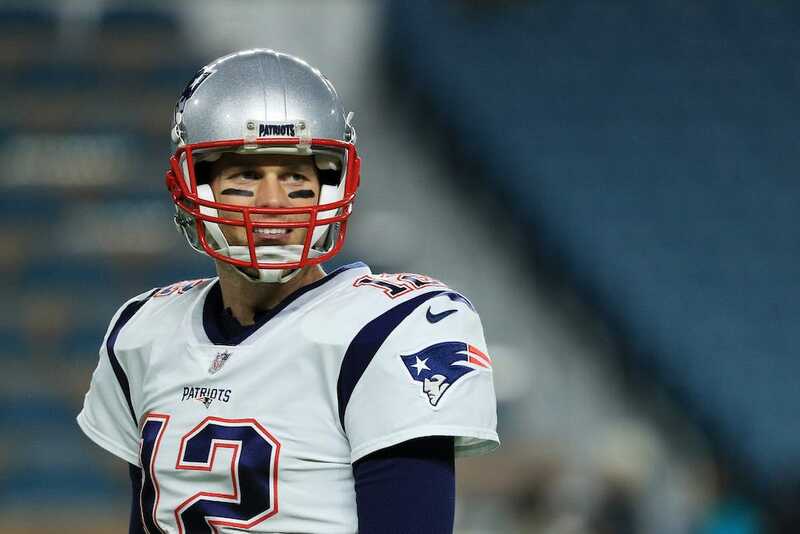 Brady says he intends to play in New England’s upcoming preseason game against the Philadelphia Eagles, meaning Patriots fans might not have to wait long to see their franchise and his new helmet in action.